Charles Vernon Gridley (24 November 1844 - 5 June 1898) was an officer in the United States Navy during the American Civil War and the Spanish-American War. Gridley is directly descended from Thomas Gridley (1612-1653), who emigrated from England to the New England area in 1633. Gridley was born in Logansport, Indiana on 24 November 1844. Gridley was appointed to the United States Naval Academy in 1860. Reporting for duty with his class in September 1863, Gridley joined the sloop-of-war Oneida with the West Gulf Blockading Squadron and distinguished himself with David Farragut at the Battle of Mobile Bay on 5 August 1864. Gridley was promoted to lieutenant in 1867. 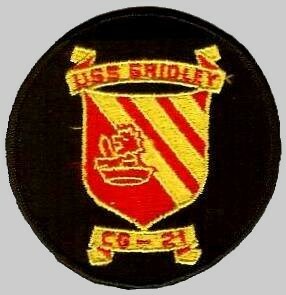 From 1871 to 1875, Gridley was stationed on the only United States Navy ship based on the Great Lakes at the time, the USS Michigan, at Erie, Pennsylvania. While stationed in Erie, he married the daughter of Judge John P. Vincent and had three children. Gridley's wife was also a cousin of the late Civil War Hero, Brigadier General Strong Vincent. Gridley was promoted to commander in 1882. He spent the next 30 years at various stations around the world, including a tour as instructor at the Naval Academy. 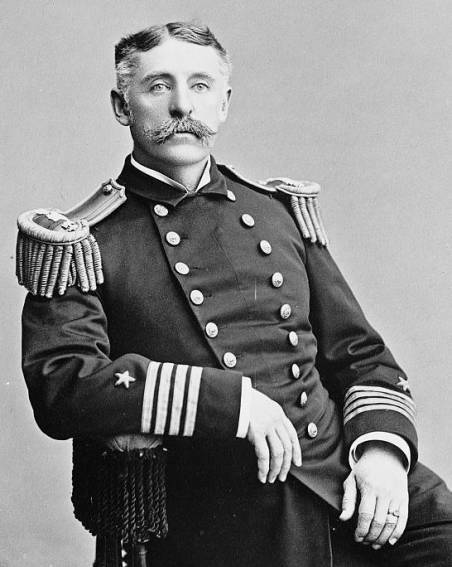 Captain Gridley took command of USS Olympia, Admiral George Dewey's famous flagship on 27 April 1898. During the Battle of Manila Bay on 1 May 1898, Dewey gave his famous command, "You may fire when you are ready, Gridley," immortalizing the captain. After the destruction of the Spanish fleet and the capture of Manila, Gridley was obliged to leave his command because of his health, and died en route to the United States at Kobe, Japan. 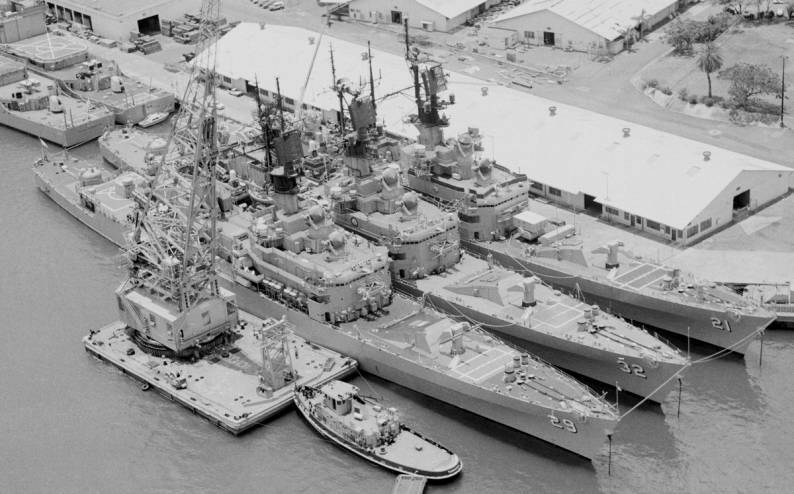 The third GRIDLEY (DLG-21/CG-21) was laid down 15 July 1960 by Puget Sound Bridge and Drydock Co., of Seattle, Wash.; launched , 31 July 1961; sponsored by Mrs. Stewart D. Rose, great-granddaughter of Captain Gridley; and commissioned 25 May 1963, Captain P. A. Lilly in command. 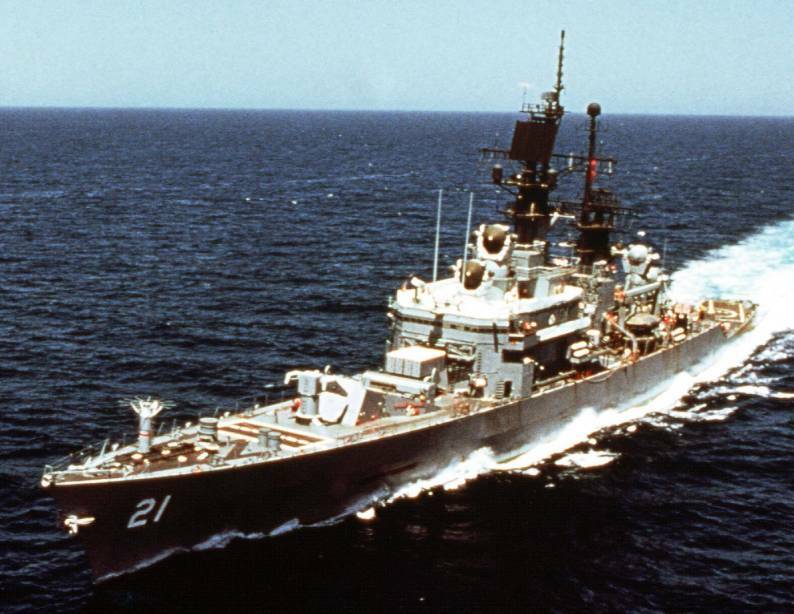 Following shakedown out of San Diego early in 1964, GRIDLEY departed Long Beach 8 April and steamed via Pearl Harbor to Australia for commemoration of the Battle of the Coral Sea, arriving Adelaide, South Australia, 5 May. 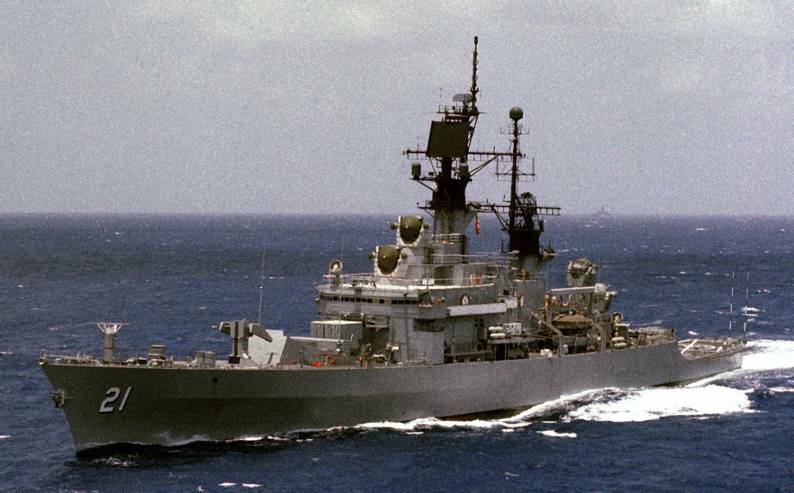 The new guided missile frigate next headed for the Philippines, stopping at Subic Bay 29 through 31 May, before proceeding to Okinawa 2 June and Sasebo, Japan, on the 8th. 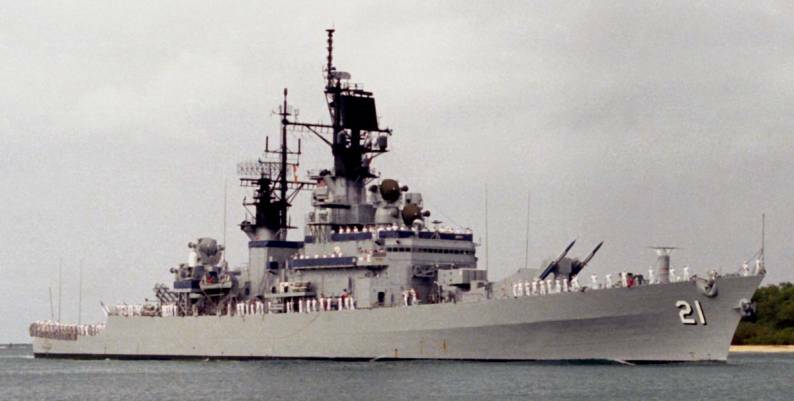 Heading south once more, she returned to Subic Bay and visited Hong Kong. 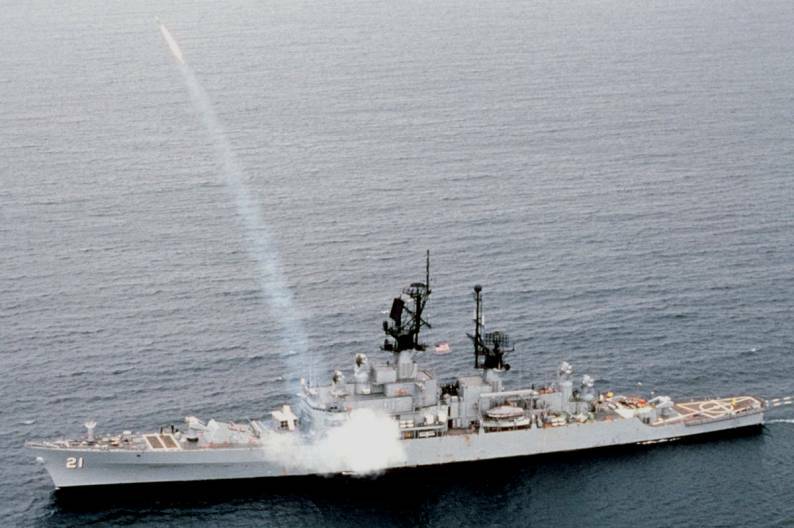 On 4 August, she got underway for the South China Sea escorting aircraft carrier CONSTELLATION (CVA-64) to strengthen American naval forces off Vietnam after Communist motor torpedo boats had attacked destroyers MADDOX (DD-731) and TURNER JOY (DD-951) in the Gulf of Tonkin. 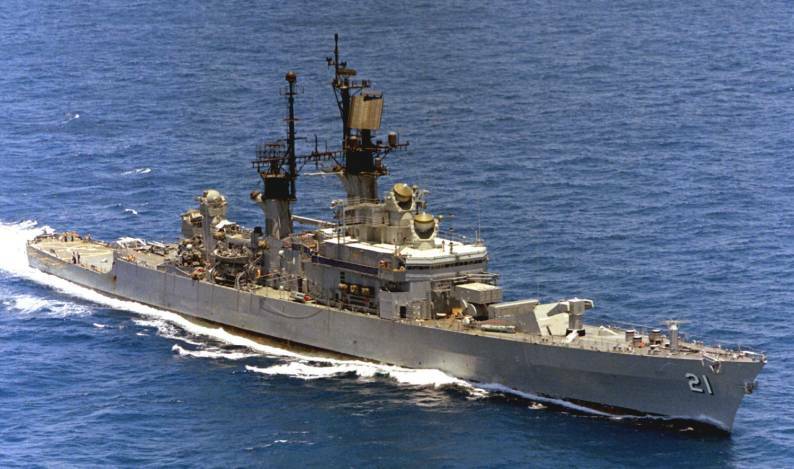 But for a brief visit to Subic Bay, she remained on station serving screening and picket duty, coordinating antiaircraft warfare efforts, and relaying communications. 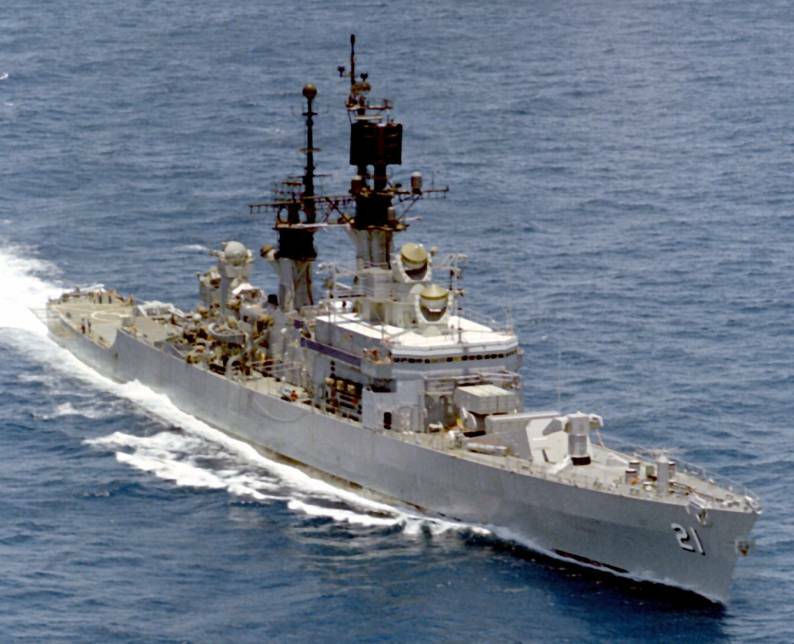 Before she left the fighting zone 6 September, the ship's competent and dedicated service won her the Navy Unit commendation. 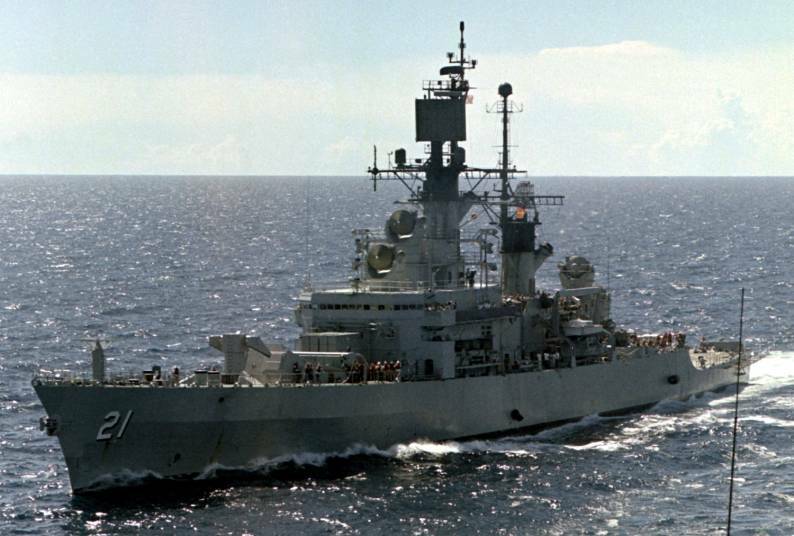 She departed Subic Bay 7 November and reached Long Beach on the 21st. 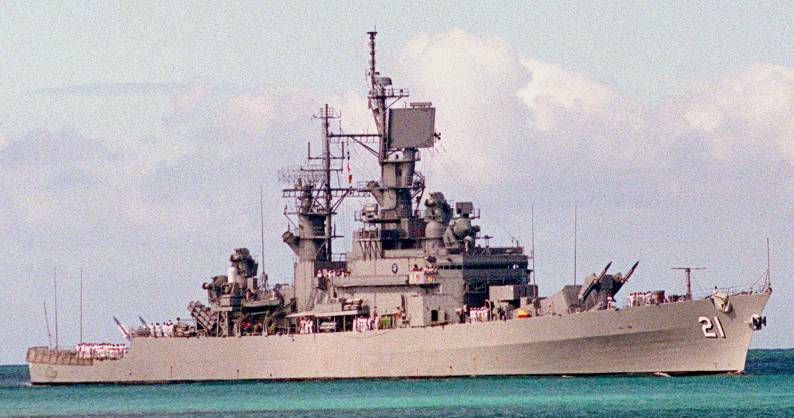 GRIDLEY was officially redesignated a guided missile cruiser (CG-21) in 1975, and made a 7th WESTPAC deployment. 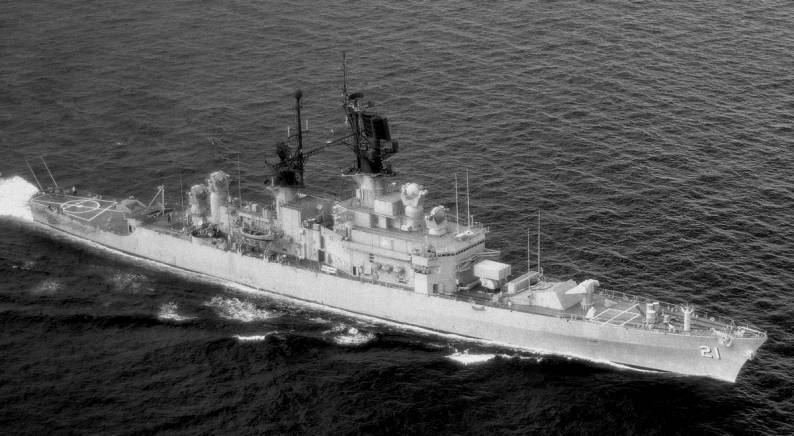 During the seven and one half month deployment, GRIDLEY provided air traffic control and on station support during "Operation Frequent Wind", the evacuation of persons from South Vietnam. 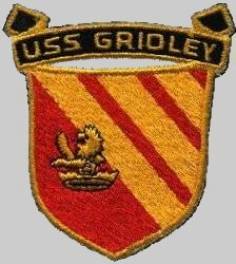 GRIDLEY was also on station air traffic controller during the MAYAGUEZ incident off the coast of Cambodia. 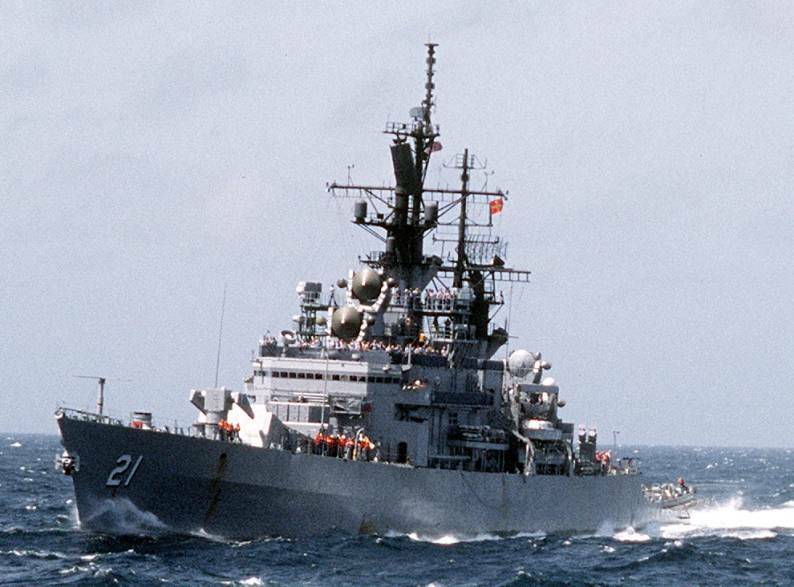 After a short 10 months back in her homeport, GRIDLEY returned to the Western Pacific in July of 1976. 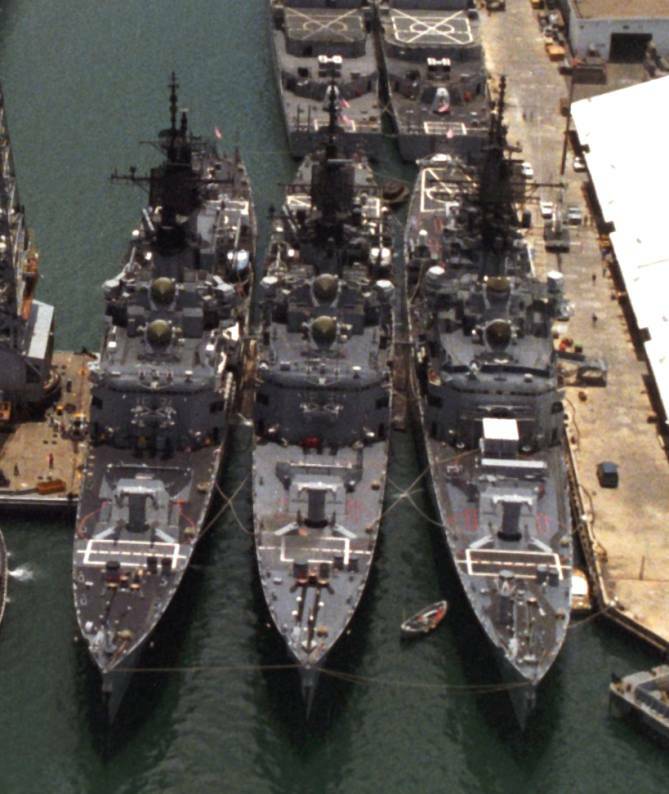 After a final port visit to San Francisco in October 1993, GRIDLEY returned to San Diego in order to prepare for decommissioning after more than 30 years of service in the United States Navy. 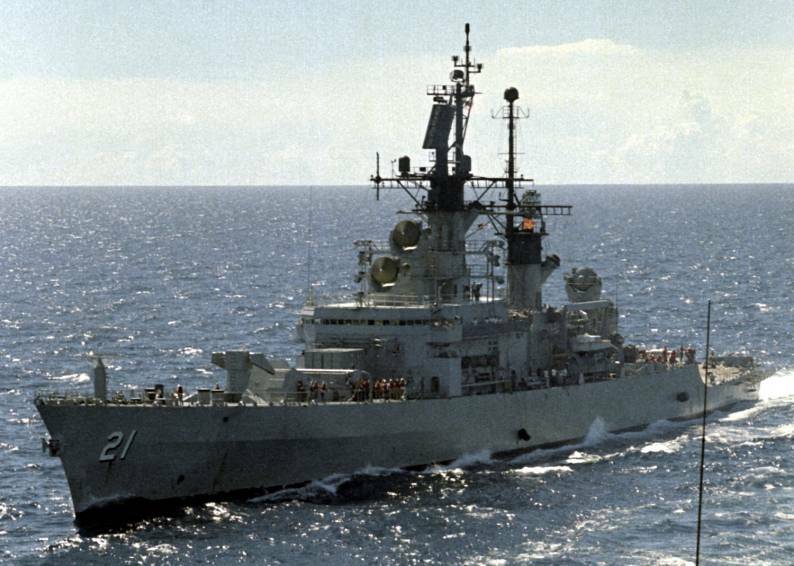 GRIDLEY was decommissioned, stricken from the Navy Register and transferred to the Maritime Administration for temporary lay-up on 21 January 1994. 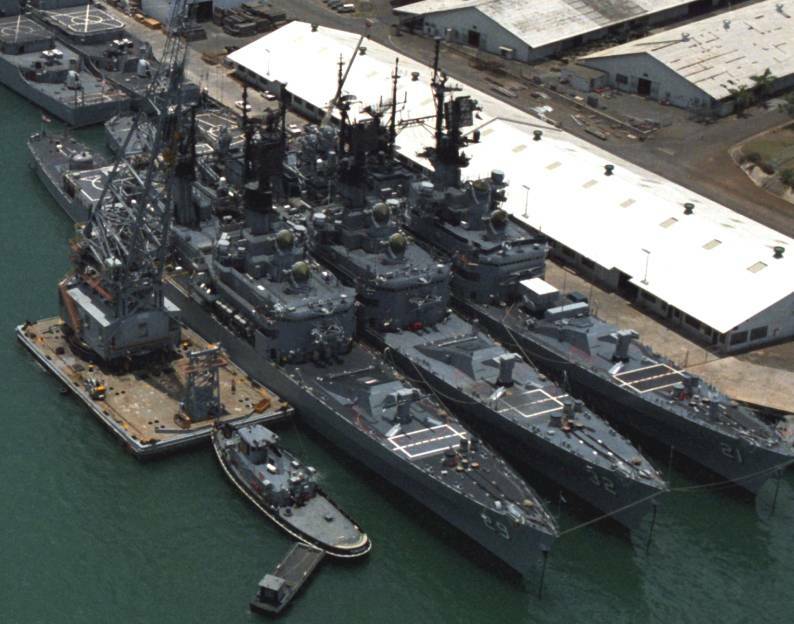 She was laid up at the Suisun Bay, California reserve to await disposal.